New York, September 18, 2012 – International TV network Fashion One today announced stepping into 24-hours McDonald's Restaurants, after striking a partnership with Hot Media to access its exclusive digital channel. In the agreement, two 60-second videos run across the McDonald's channel 4 times per hour, featuring exclusive fashion, entertainment and lifestyle content from Fashion One LLC. With entrée to 85 McDonald's restaurants, consumers could enjoy content from photography, street style and beauty tips, to designer retrospectives and the latest celebrity trends. Fashion One LLC CEO Ashley Jordan said, "We are delighted on the collaboration with Hot Media and look forward to showcase fashion in all aspect of life for McDonald's customers. In additional to the increasing amount of production and activities in the local market, Fashion One LLC will continue our aggressive push into Hong Kong." Andy Ann, a founder and director of Hot Media also expressed his excitement in regards to this new content partnership. "Fashion and entertainment has always been key elements for MuteHD, our digital out-of-home network in Hong Kong's 24-hour McDonald's. So a partnership with Fashion One LLC just makes sense. Over 70% of our viewers are between the ages of 18-35 years old. 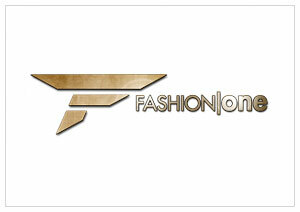 Fashion One LLC's lifestyle content is a perfect fit."